Is the glory of a house of God measured in silver chalices, gold-plated ivory altars or fine Gothic masonry? This contemporary of John Wesley says otherwise, that the Church can measure its glory only by success in fulfilling its commission. 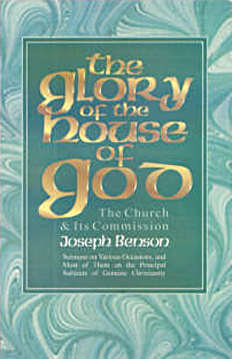 Adam Clarke named Benson “a sound scholar, a powerful and able preacher, and a profound theologian.” Historical note.